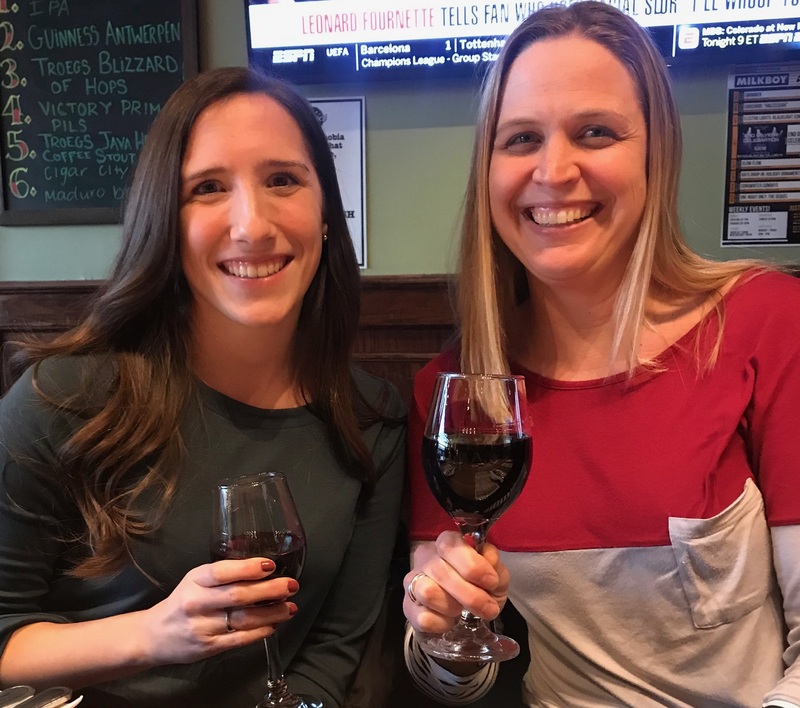 Congratulations to Morgan Botdorf on her graduate thesis defense! 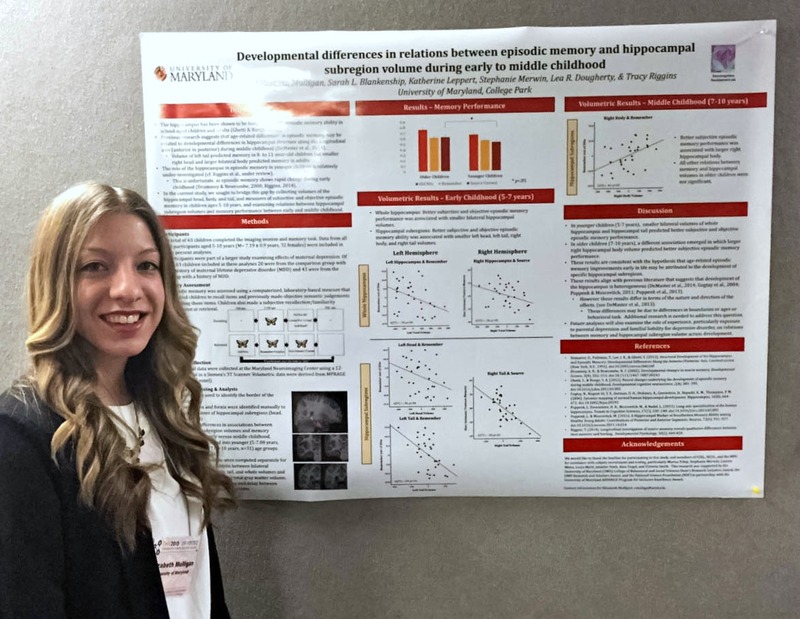 Morgan Botdorf, a second-year graduate student in the Neurocogntive Development Lab defended her thesis, entitled "Development of the Episodic Memory Network in Early Childhood: Insights from Graph Theoretical Analysis." 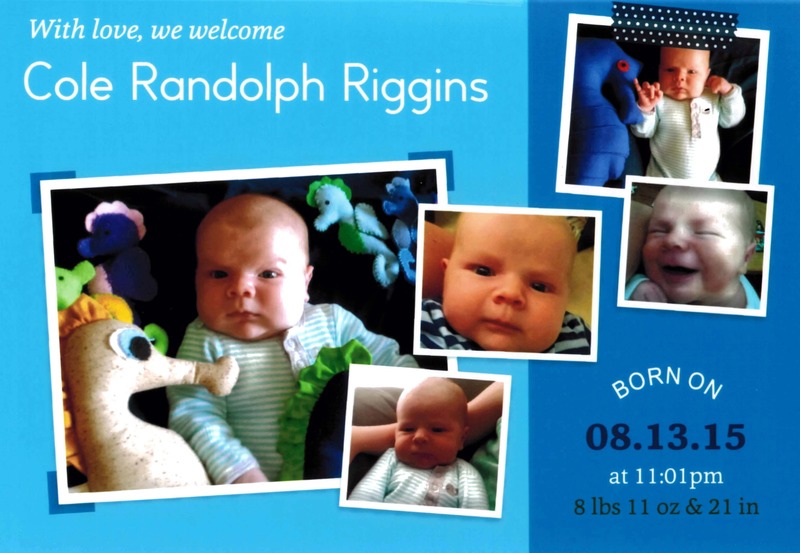 Congrats Morgan! 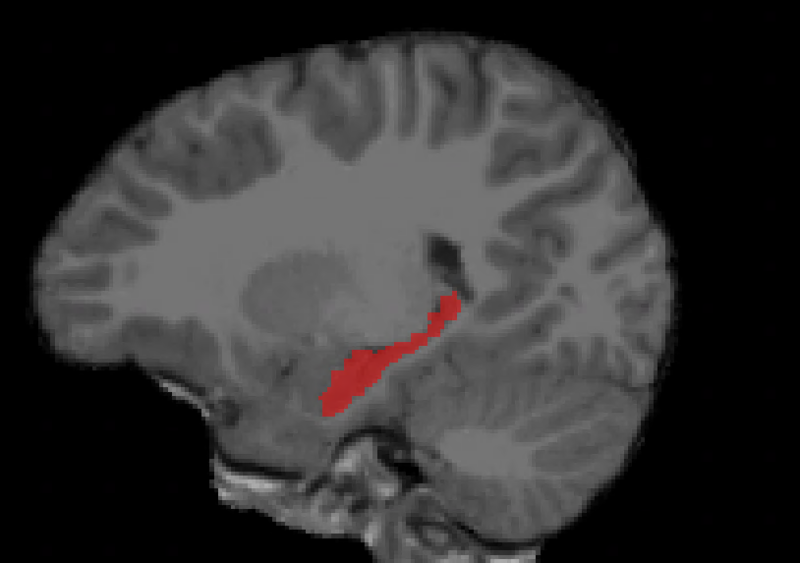 The NCDL has just published a study in the journal NeuroImage with findings from our Kid Brain Study! We have learned a lot about children's brains and how they support memory. We found that in younger kids, from about 4-6 years of age, a bigger hippocampus is associated with better episodic memory. 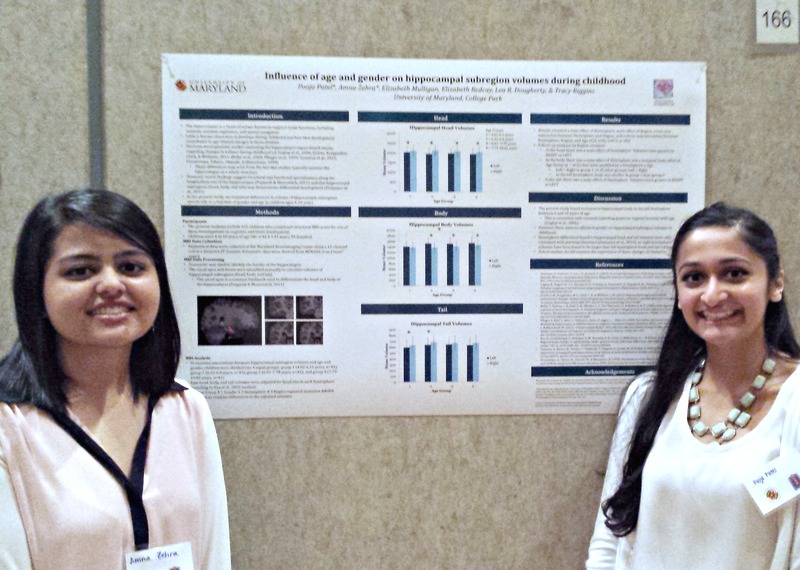 But in older kids, 6-8 years of age, a smaller hippocampus is associated with better memory. This “transition” might occur because as the brain matures, the connections become more efficient. In other words, unnecessary or unused connections go away, leading to smaller (but better connected) brain structures. Interestingly, this was only true for the parts of the hippocampus that take the longest to develop and are most closely related to memory in adults. This is exciting because this is one of the first studies to look at the relation between the hippocampus and memory development in kids as young as 4 years of age! If you're interested in reading more, see the full article here. 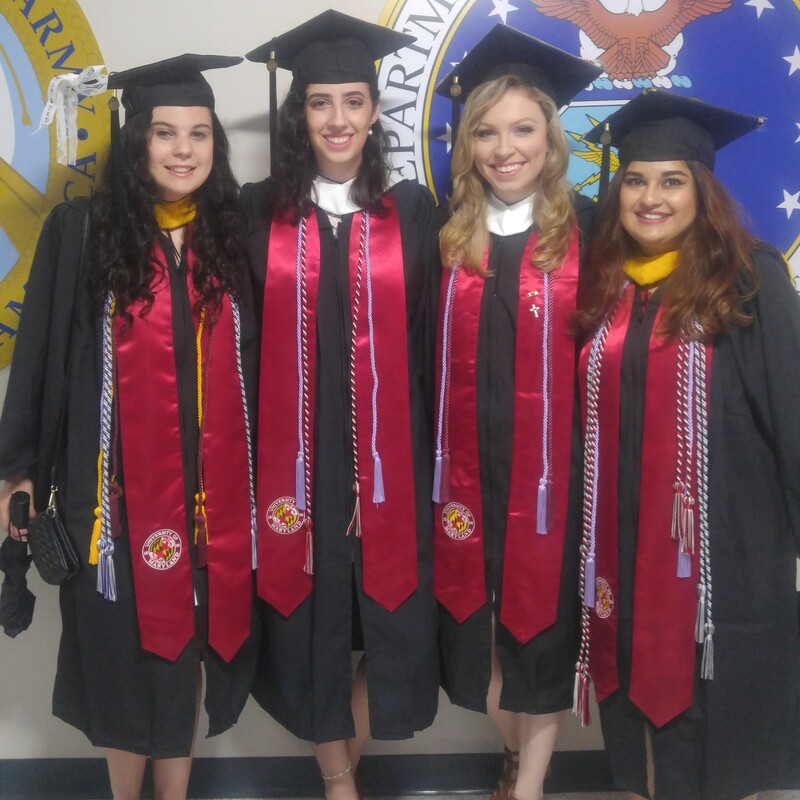 Elizabeth Dolin, Kelly Walsh, Arcadia Ewell, and Nimra Naeem (L to R). 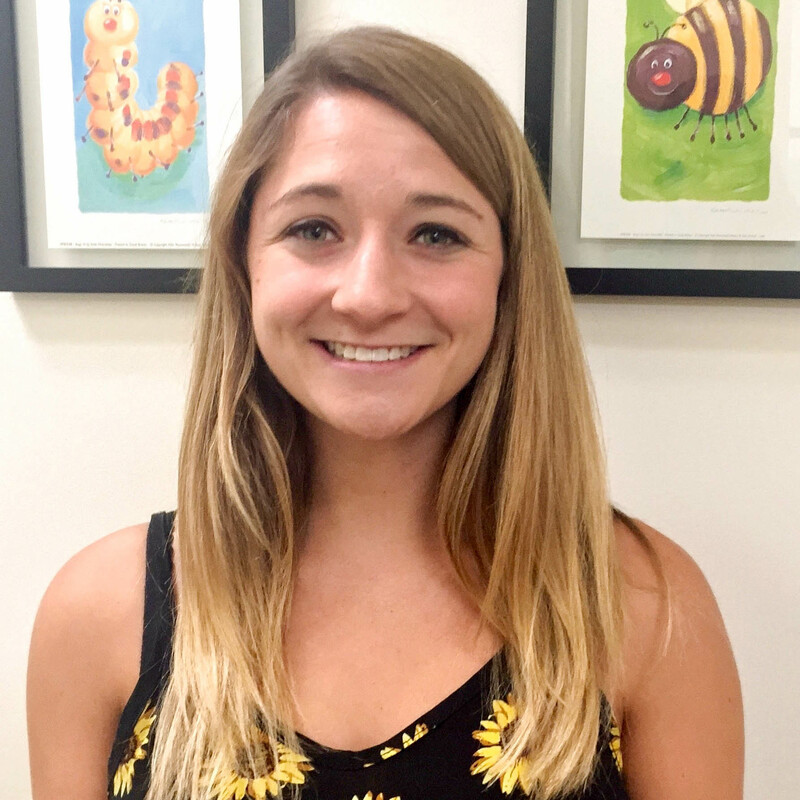 Liz will be attending Pace University's School-Cliical Child Psychology graduate program, Kelly received the Oustanding Accomplishments in Psychology Award and will pursue her Ed.S in School Psychology at the University of Delaware, and Arcadia will be staying with the NCDL as a full-time lab manager and research assistant! 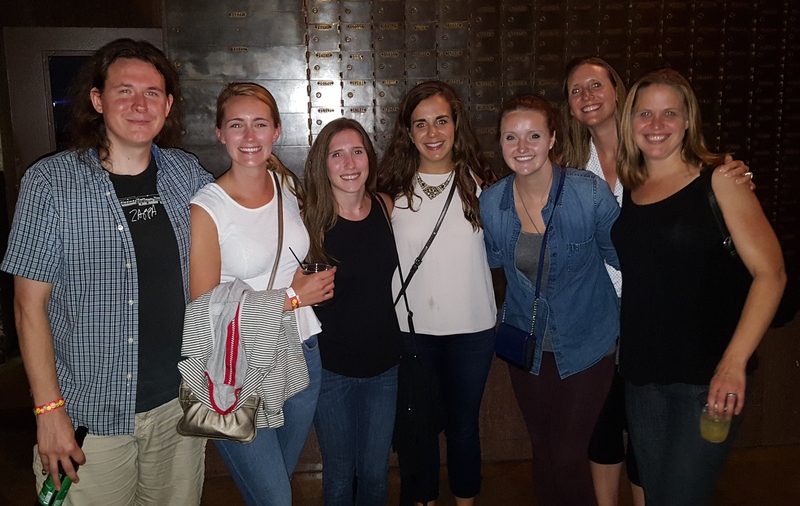 We are so glad to have had all of you in the lab! 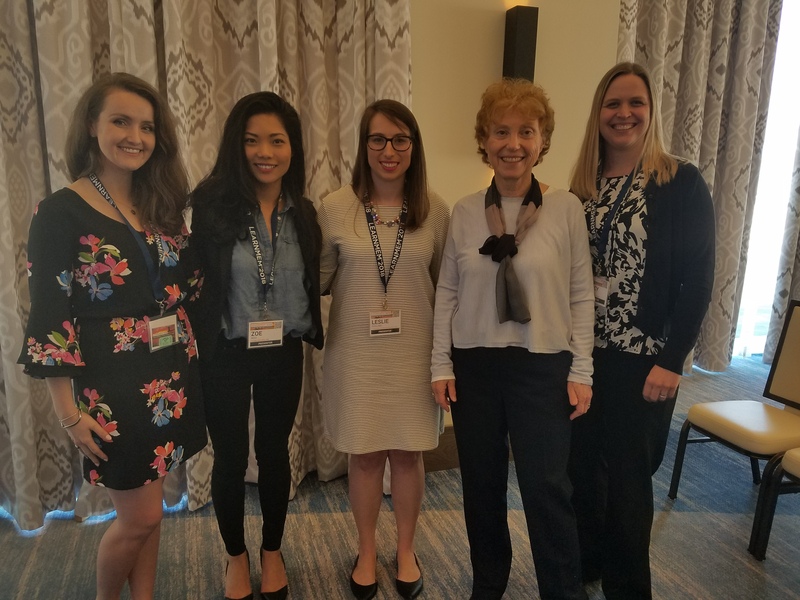 Kelsey Canada (far left), Tracy Riggins (far right), and Morgan Botdorf (not pictured) presented talks and met up with collaborators from Temple University at the International Conference on Learning and Memory in Huntington Beach, CA. 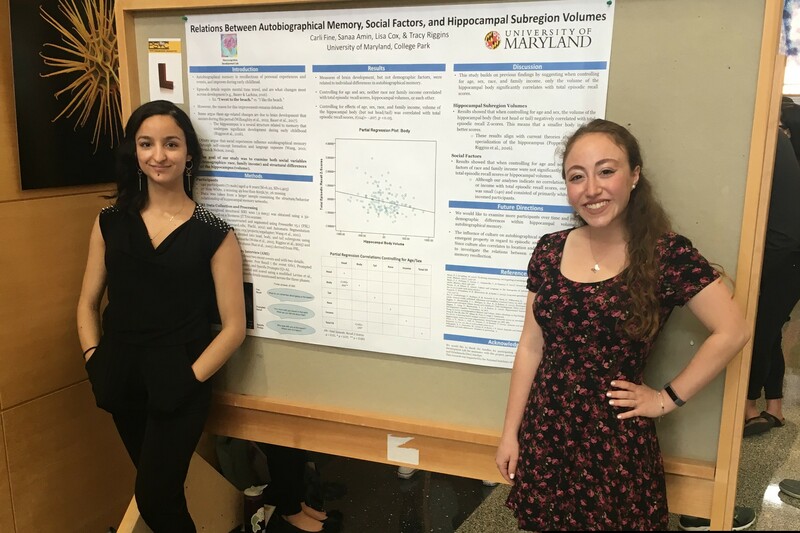 Sarah Blankenship, Morgan Botdorf, Kelsey Canada, Tracy Riggins, and Fengji Geng (not pictured) presented posters at the 2016 meeting of The Society for Developmental Cognitive Neuroscience. 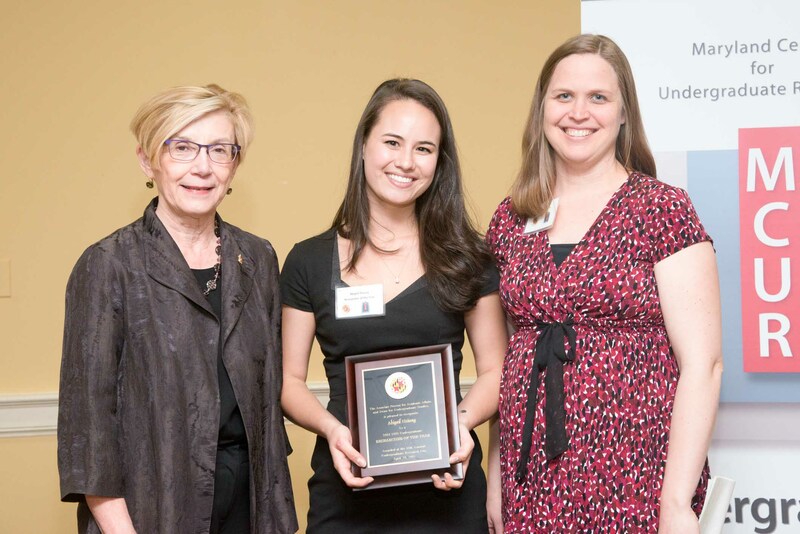 Kelly Walsh, an Undergraduate Research Assistant in the lab, received the 2018 Oustanding Accomplishments in Psychology Award. 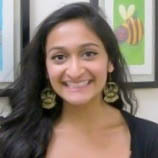 She will be recognized at the PSYC Commencement ceremony and will receive a certificate and a $50 award. 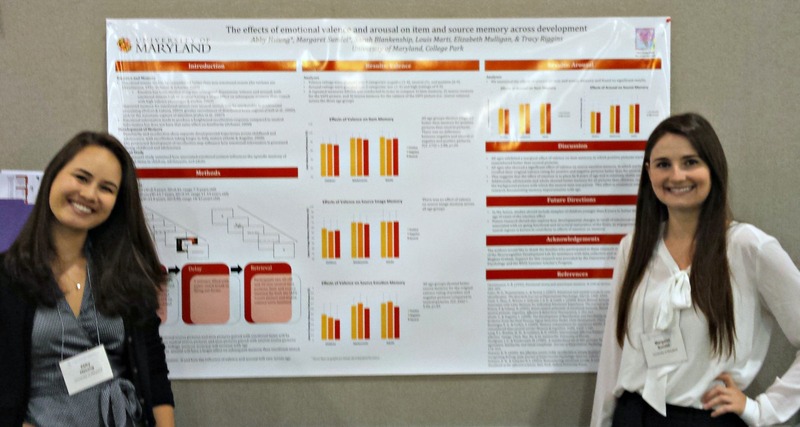 Graduate Student Morgan Botdorf has won a National Science Foundation Graduate Research Fellowship. 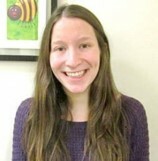 Congratulations to Morgan, whose research will now be supported by NSF! 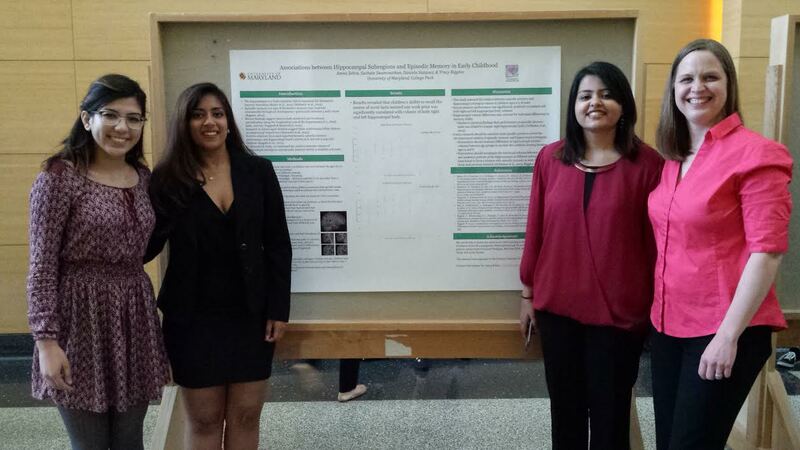 Undergrauate Research Assistant Amna Zehra has won the 2016 Mark S. Harper Award for Excellence in Psychology. She will recieve a plaque at commencement ceremony and will be seated with the platform party on stage. 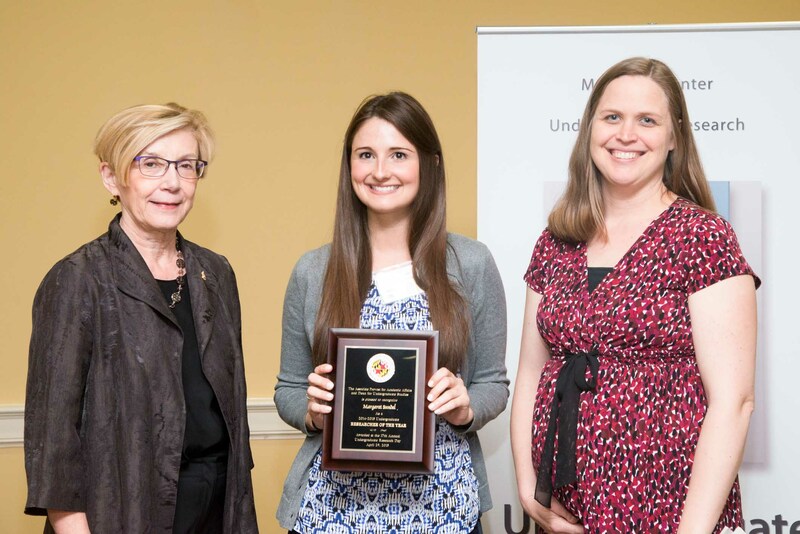 Graduate Student Sarah Blankenship won the Graduate Dean’s Dissertation Fellowship for academic year 2016-17. She will spend the next year devoting her full attention to research, scholarly, and creative work directly related to her dissertation. 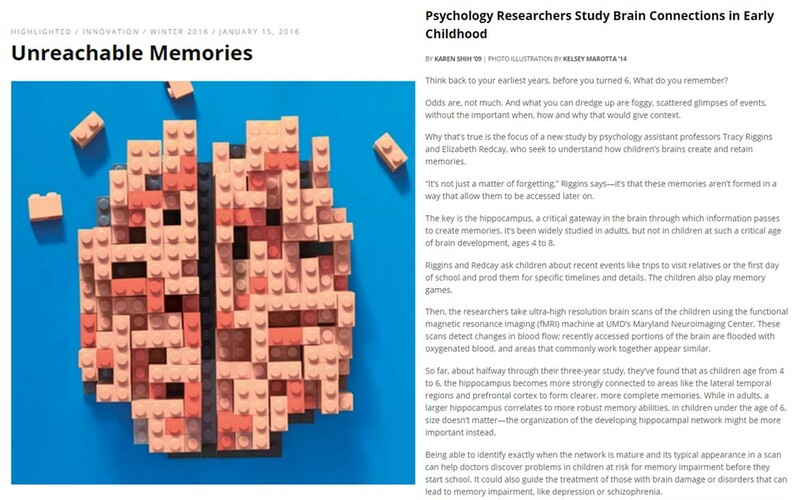 "Unreachable Memories: Psychology Researchers Study Brain Connections in Early Childhood"
An article about our Hippocampal Memory Networks project just came out in Terp magazine detailing some of our preliminary findings. As children get older, their ability to remember the details of life events (the when, where, and why, also known as 'episodic' memory) shows striking improvement. However, neural changes related to this improvement in memory are not well understood. This is particularly true in young children from whom neural measures are difficult to collect. 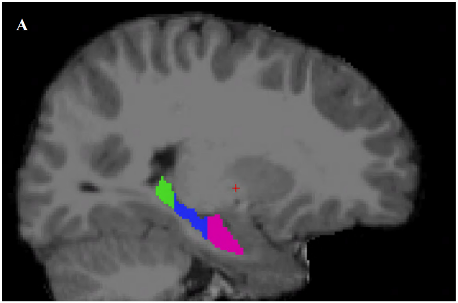 To address this gap the present study examined associations between children’s episodic memory ability and volume of a brain structure known to support this type of memory in school-aged children and adults called the ‘hippocampus’. 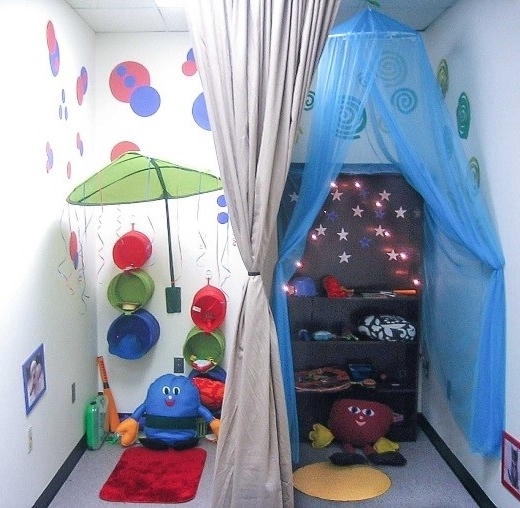 Specifically, 4- and 6-year-old children played a memory game in which they were asked to interact with toys in two different rooms. For each toy children learned a novel action associated with the toy (they either put it on their head, beat it like drum, or hugged it). Memory for the toys, their location, and the action associated with them was tested after a delay. In addition, volume of the hippocampus was measured from MRI scans by extracting the size of three subregions in this structure, referred to as the head, body, and tail. Results revealed significant positive relations between episodic memory ability and volume of the hippocampal head for 6- but not 4-year-old children. This pattern suggests that developmental changes in the hippocampus may underlie the striking improvements in memory ability seen in young children. 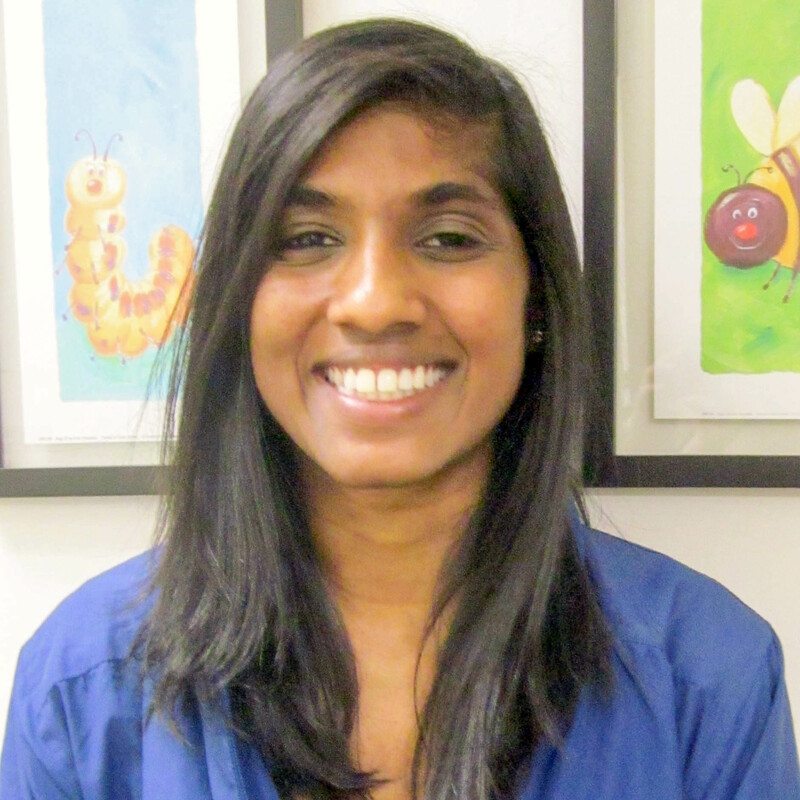 These findings are important because they provide evidence of developmental changes in brain-behavior relations in very young children. Ultimately, these findings may prove useful in the creation of interventions to improve learning and memory in young children in both educational and clinical settings.